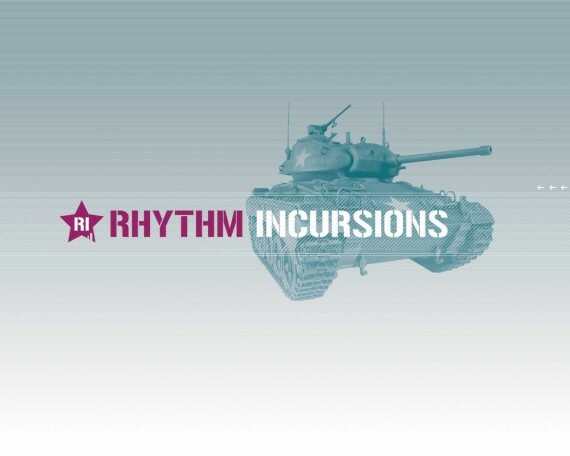 Oh no you’re not dreaming, you are looking at a new, proper Rhythm Incursions podcast from yours truly following a six month hiatus. To be fair, Primus Luta and Raid System have held the fort in the time being and I’ve been kept busy by the BLN.FM residency as well as this thing called life (and launching the Original Cultures label among others). Still it’s nice to be back. This month’s podcast picks up where we left off, two hours of discerning music for discerning ears covering some of the stuff I’ve been enjoying in the first half of the year alongside a whammy of new, unreleased and forthcoming music from the likes of Quakers, Kahn & Neek, Cosmic Bridge Records, Madlib, Konjah, Youngteamm, Lil Jabba, One Handed Music, the new JJ DOOM project, Lorn, Anenon, Cooly G and LV on Hyperdub, Kad Driver, Yes Creator, Open Mike Eagle, Typesun, Bolts, Submerse, Mala’s exciting In Cuba project, Yosi Horikawa, Comma, dBridge and more. This month’s show has been a pleasure to put together, not least because it’s been such a while but also because it takes in a real diverse scope of music from hip hop and beats to electronic experiments and dance music explorations in and outside of genre boundaries. I feel it’s a been a good year for music so far, and I hope you’ll agree. Those of you paying attention will notice quite a few of the artists we’d earmarked as ones to watch at the beginning of the year as well. It won’t be this long until the next instalment, I promise. As always you can download and/or stream the show below, or simply subscribe to our iTunes/RSS feed and never miss a show. This entry was posted on Monday, July 30th, 2012 at 10:21 am. It is filed under Podcasts, Presented by Laurent and tagged with Madlib, Lorn, Boxcutter, Paul White, Cooly G, Sweatson Klank, Mala, LV, Eprom, Shigeto, Yosi Horikawa, Kahn, Andreikelos, Chanes, Dbridge, Comma, Mo Kolours, Anenon, Moresounds, Freddie Gibbs, Dusk, Kendrick Lamar, Youngteamm, Danny Scrilla, Beat Inc, LOL Boys, Billy Woods, SertOne, Lil Jabba, Konjah, Greenwood Sharps, Kab Driver, Typesun, Blackdown, JJ Doom, The Room Below, Submerse, Bolts, Yes Creator, Open Mike Eagle, Sweet Rendez Vous, Quakers, Strange Universe, Blackjob, Monte Carlo Polo Team. You can follow any responses to this entry through the RSS 2.0 feed.